There are lots of wonderful views in Florence. 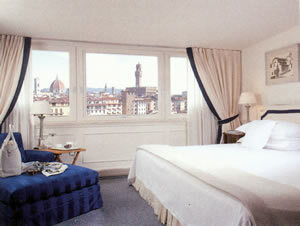 One of the best is from room 871 of the Lungarno Hotel. 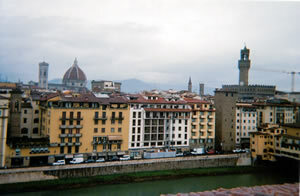 The river Arno, the Ponte Vecchio (the most famous bridge in the world), the campanile of the Cathedral next to Brunelleschi’s wondrous dome and the thin tower of the Palazzo Vecchio, soaring heavenwards from the Piazza della Signoria – all are set out before the onlooker in the clear Tuscan light. Yet the night’s darkness brings an even more emphatic panorama, for each of these masterpieces – now floodlit – vies for the eye’s attention. I counted myself fortunate to be able to enjoy this visual delight. The location of the Lungarno is good at ground level, too. Across the bridge, to the right, is the Uffizi Gallery, home to some of mankind’s most impressive painterly achievements, while on the hotel side of the water the magnificent Pitti Palace, with its own collection of paintings, is only a five minute walk away. All around are antique shops of the grandest sort, and St Mark’s Church – an outpost of the Church of England (for the English have long loved all things Florentine) – is just around the corner. So, truly, guests at the Lungarno are very near to the centre of things. To arrive at my billet I had taken the lift to the 7th floor and then walked up the stairs to the 8th floor. Room 871 is a Double Deluxe. As always nowadays, you need to check the rates for specific dates on the hotel website. 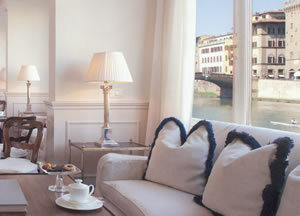 You should think around 400€-600€ for a Deluxe Room overlooking the Arno, according to season. 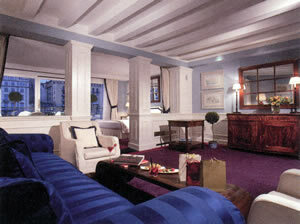 I found my room to be comfortable and spacious accommodation and liked its cream and blue décor. But the huge daybed was not for me – too low for my bad back – so I had it taken out by two members of the helpful staff, and made do with the room’s two other, upright chairs. The bathroom had two wash basins, a bath tub with a shower over (although the shower head was too low), a bidet and a loo. In the wardrobe was a private safe. 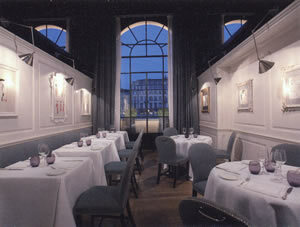 The Lungarno was designed by a local architect, Michele Bönan. 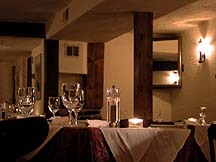 The public rooms on the ground floor are white and full of enticing sofas. 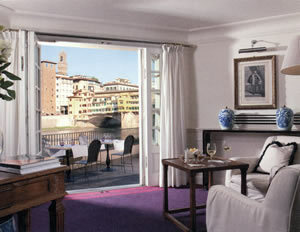 Its large windows take proper advantage of the hotel’s position on the river’s edge. Their walls are covered by some seriously good modern art, with a Picasso over the fireplace and drawings by Cocteau all over the place. The Lungarno Collection of hotels was founded by the designer Salvatore Ferragomo, so one should not be surprised by the amount of art with which its properties are decorated. 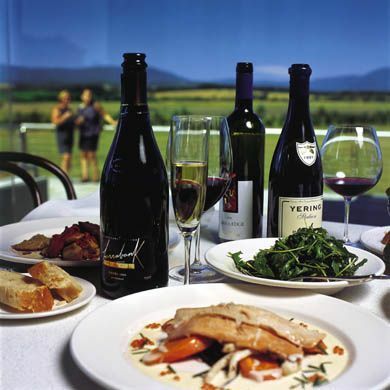 Sadly, I did not have the opportunity to dine at the hotel, although I know that its restaurant, Borgo San Jacopo, and its Chef, Beatrice Segoni, are highly regarded. Certainly, the fare at breakfast suggested a kitchen with high standards, both culinary and aesthetic. I was fortunate to secure one of the corner seats in the breakfast room, which meant I could supplement the modest space on the small table with the wide window sill. Hither I took from the buffet bowls of raspberries, pineapple, melon, blueberries and strawberries, plates of croissants and slices of dark bread, plates of bacon and scrambled eggs and glasses of orange juice. To me were brought pots of coffee, dishes of ice cubes and my concluding cappuccini. I do enjoy a good breakfast. And this was a good breakfast. My whole stay at the Hotel Lungarno was good, too. It was not only the view I enjoyed. But, golly, I did enjoy the view. Borgo San Jacopo 14, 50125 Florence, Italy.